Automation for home systems to industrial systems is a very big step for our technological advancement. With the use of electric actuators, motion systems have acquired the best efficiency and accuracy. Today, a new fad with actuators is the use of easily installable WIFI actuator app which allows the user to control and direct his motion system for his home or office. This can easily be downloaded from the internet to your Android or Apple device. WiFi actuator automation can be used and installed with all the types of actuators, from linear, to feedback actuators. Making a WiFi actuator app was not easy for the engineers who poured their blood and sweat into its creation. The makers had to consider the customers’ demand for quality, precision, efficiency and control. Through this installation, you can easily control your linear actuators remotely, and with a much lower cost of time, effort, and money. The use of physical materials like wires and plastic circuit board is lessened and replaced by wireless technology and high computer function from a hand held device like the Android or iPhone. The WiFi app for Linear Actuators can control the actuators simultaneously, individually or in any combination by setting your preferences on your phone or tablet. This app also has momentary and non-momentary settings. It also allows for actuator control and grouping which allows multiple actuators working at the same time for maximum efficiency. The app has five slots to accommodate pre-set preferences that facilitate custom motion controls. This WiFi app is highly recommended to be paired with the PA-35 control box. The custom design of this control box allows for simple, snap on wiring connections. Additionally, it has a three light system, which informs the user of power availability, a WiFi connection, and an outgoing signal. This device offers accessible maintenance and precision control with a good and easily understandable interface. 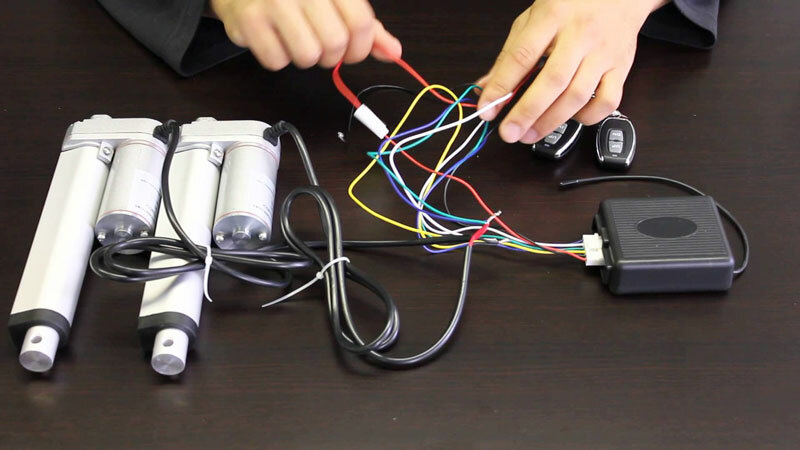 Controlling your linear actuators via WiFi is indeed a good solution to your DIY project or office installation. It costs less, requires less installation and thus less effort, it has a user friendly interface for the phone or tablet, it has a simple design which allows mobility and flexibility and it is readily available in the cyber market. Choosing to install and control your linear actuators via WiFi will grant you the highest level of energy efficiency, motion precision, and system automation undoubtedly.